Shining a laser at an aircraft is not only dangerous, it is a federal crime. 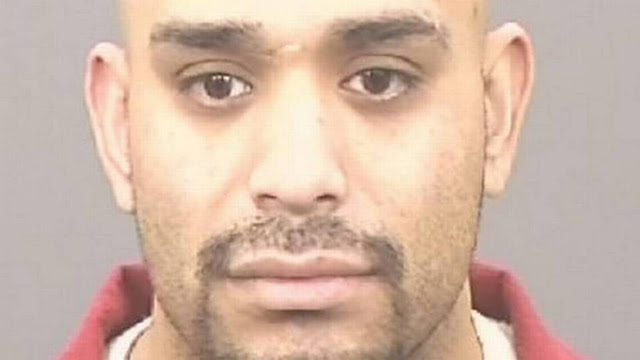 The 32-year-old from Fresno on Monday was sentenced to 18 months in prison for it, according to a release from the U.S. Attorney's office. Alvarez pleaded guilty to the charge in March and faced a sentence of up to five years and a fine of $250,000. Alvarez was arrested last year for shining a laser beam at a Fresno Police Department helicopter. According to federal charges made at the time, he “thought it would be funny to point the laser at a helicopter” from the car he was driving. He hit the helicopter with the laser several times, temporarily blinding the pilot and disrupting an air support response call. Officers on the ground were able to use the laser to locate Alvarez, who led them on a high speed chase that ended when he crashed into a center divider and ditched the car. The laser pointer was left behind. This was no isolated incident. In 2017, the Federal Aviation Administration (FAA) reported 6,771 laser strikes on aircraft, or 18.55 per day. There were more than 170 strikes reported in the 34 counties in the eastern California alone, according to the attorney's office. This also wasn't the first time a helicopter has been struck in the area. Similar incidents have been reported by the Fresno Police Department, the California Highway Patrol and King’s County Sheriff's Office over the past four years. Law enforcement helicopters are particularly vulnerable to lasers, given their low flight patterns and convex-shaped windows, which cause greater refraction and visual interference.